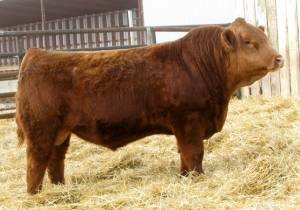 Reload is an exciting, outcross pedigreed, red bull who topped the 2013 R+ Simmental Sale in Canada. His genomic data puts him in the top 2% for marbling and top 10% for RE in the Canadian registry. Homozygous polled!